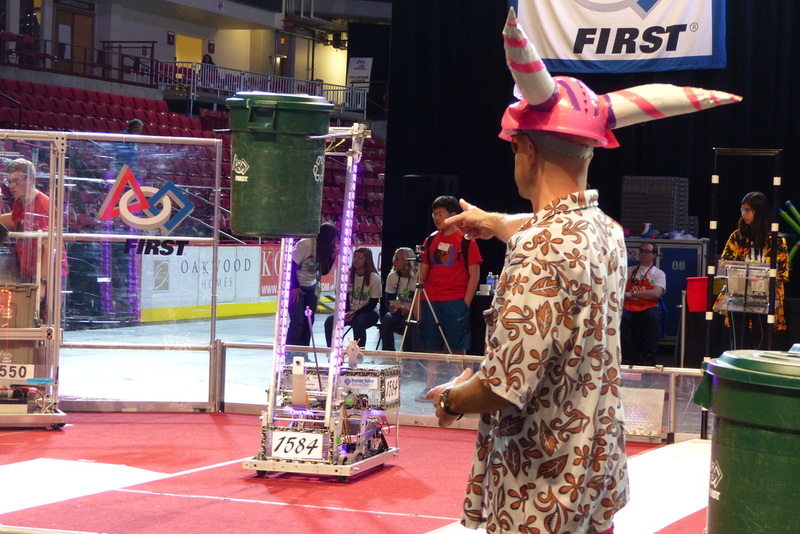 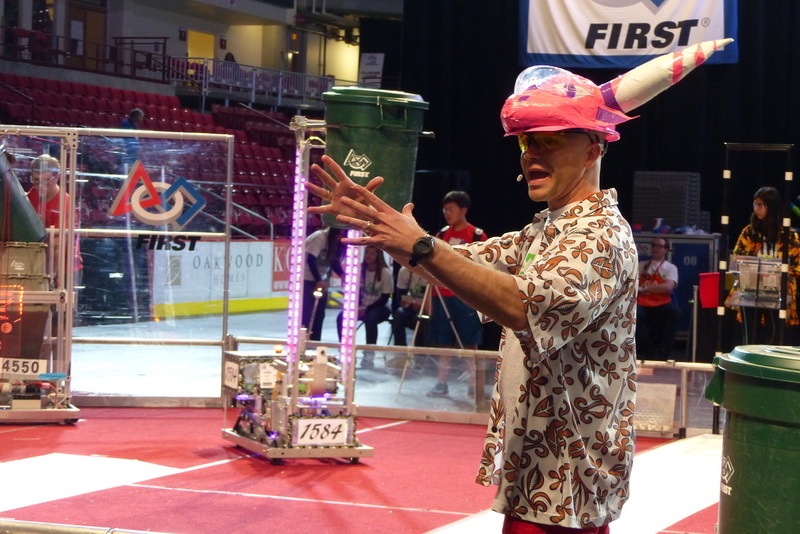 The Colorado Regional included many cleverly made robots. 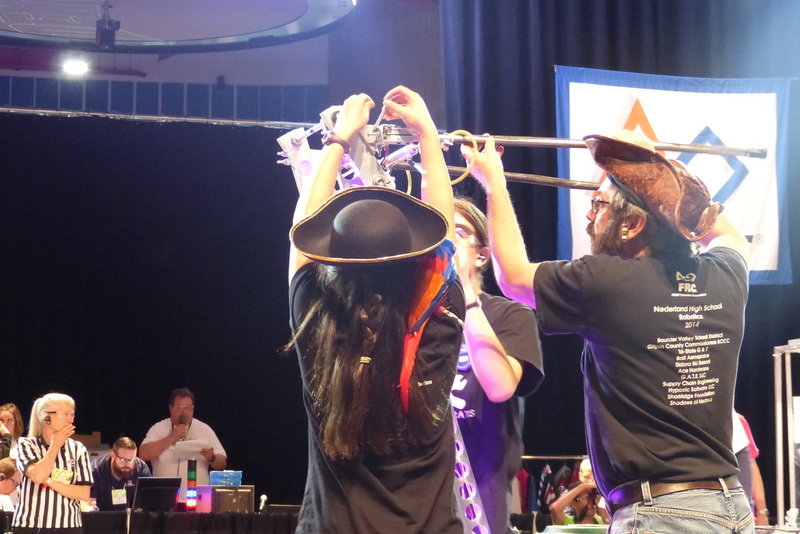 Many of the robots had a belt system for the wheels which allowed them to move flexibly. 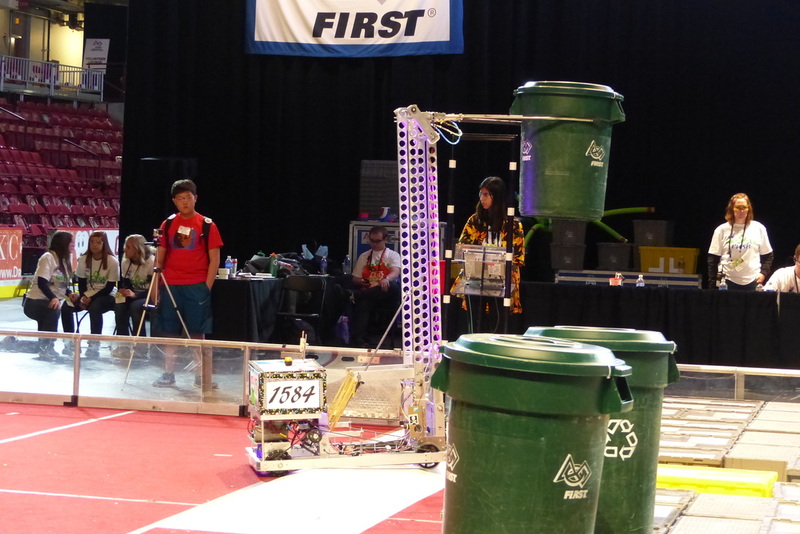 Some of the robots that were more successful at stacking the cans were teamed with robots that had efficient mechanisms for grabbing the cans in the center before others could. 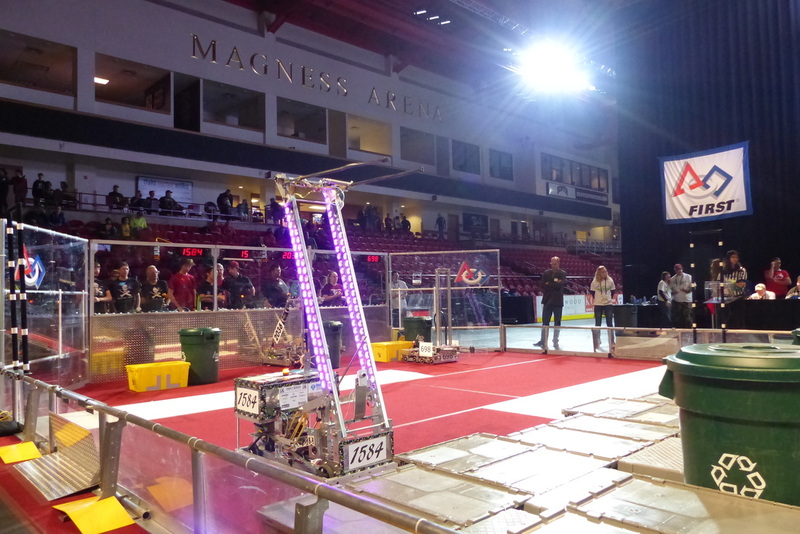 We would like to thank team 1011 (C.R.U.S.H.) 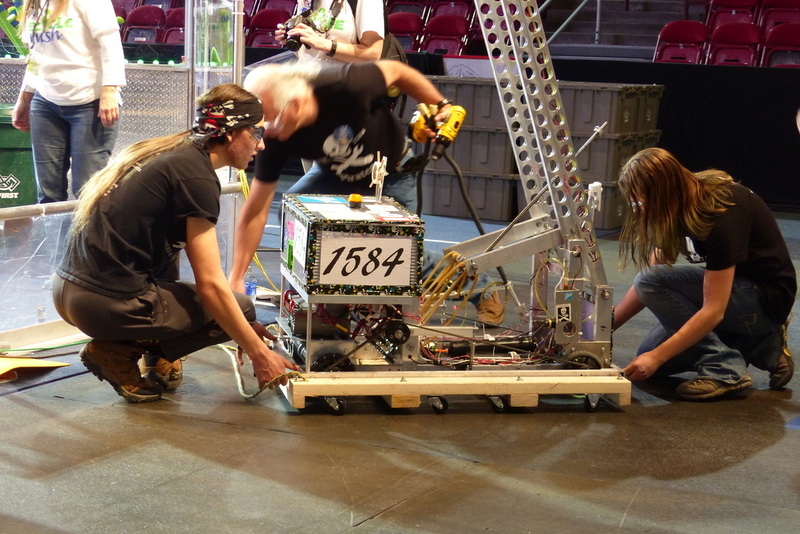 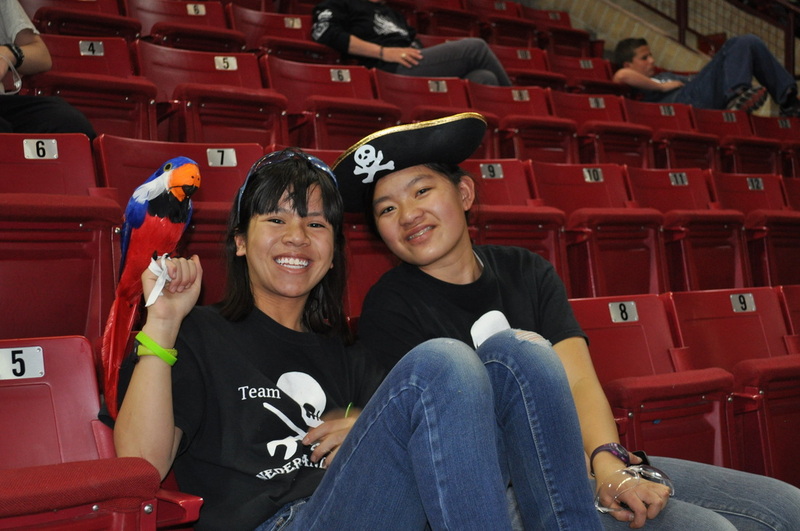 and team 662 (Rocky Mountain Robotics) for choosing our robot the Jolly Recycler to participate in their alliance during the quarter finals. 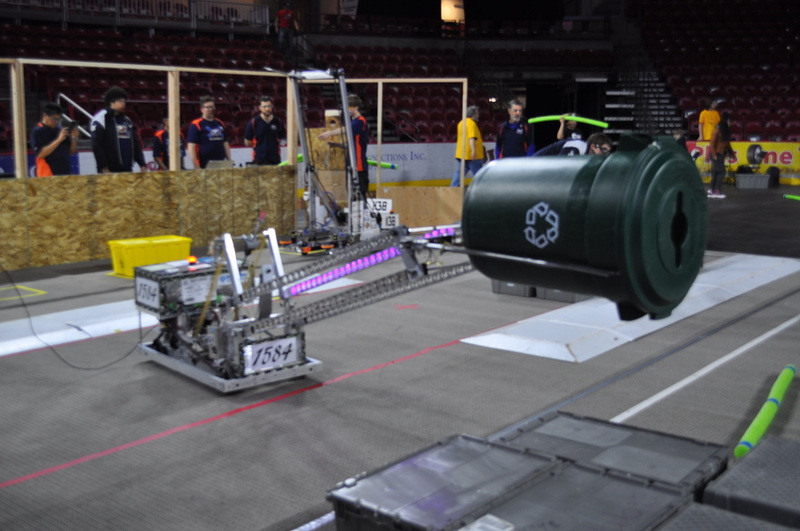 The video below shows the team in the quarter finals during the Colorado Regional last year. 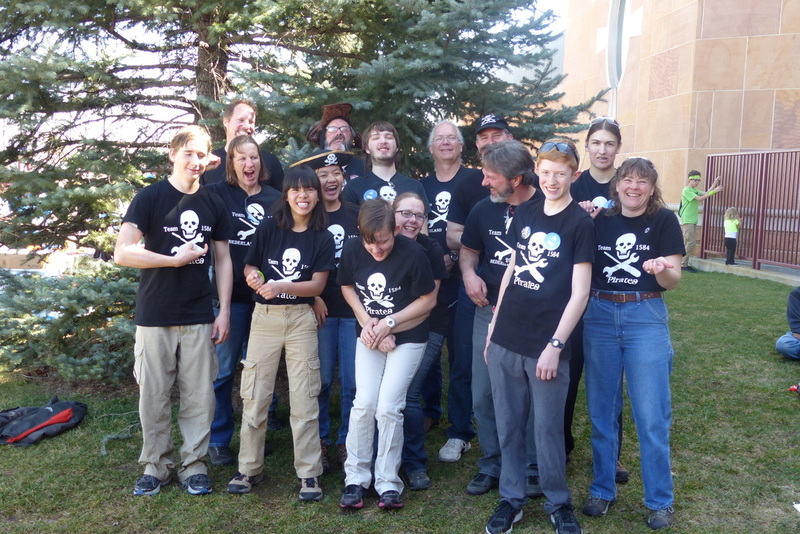 Team 1011 (C.R.U.S.H.) 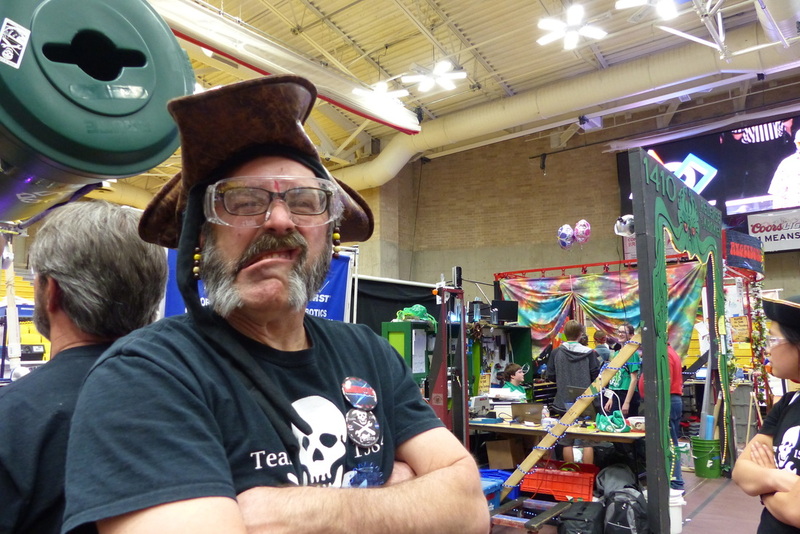 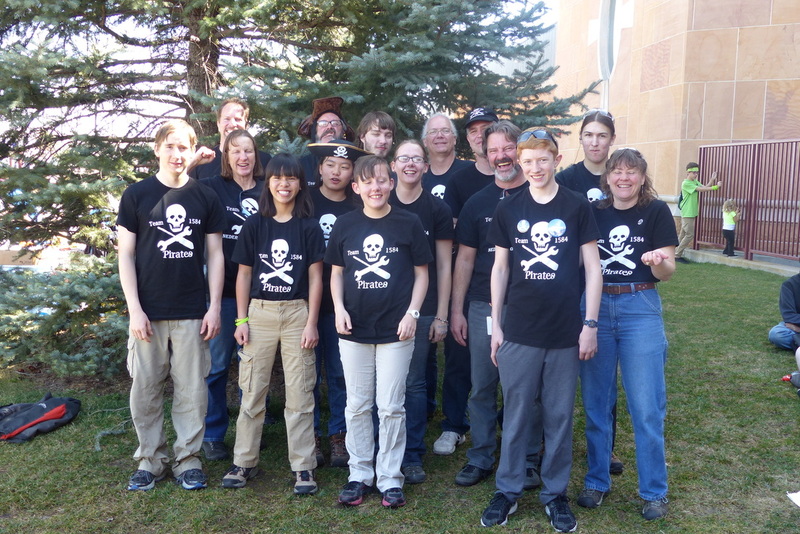 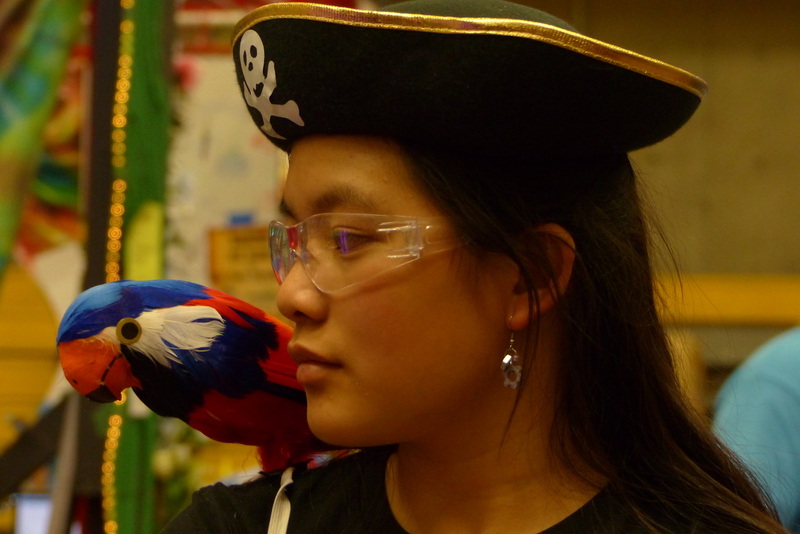 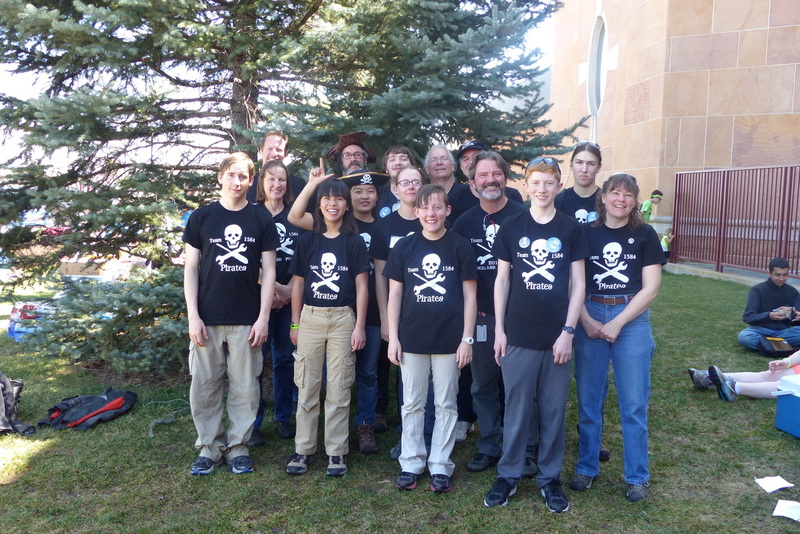 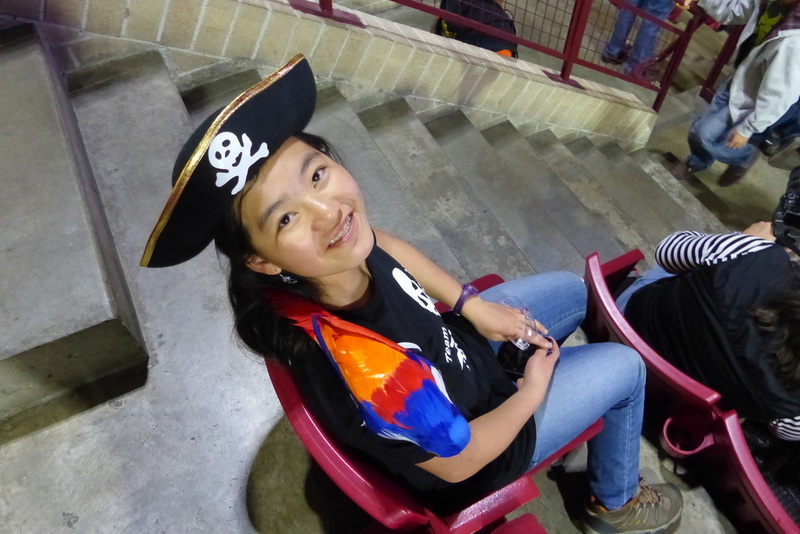 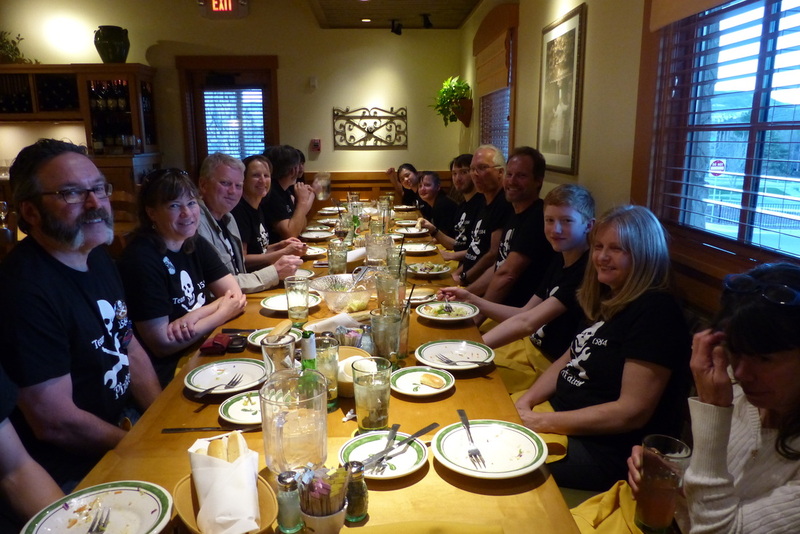 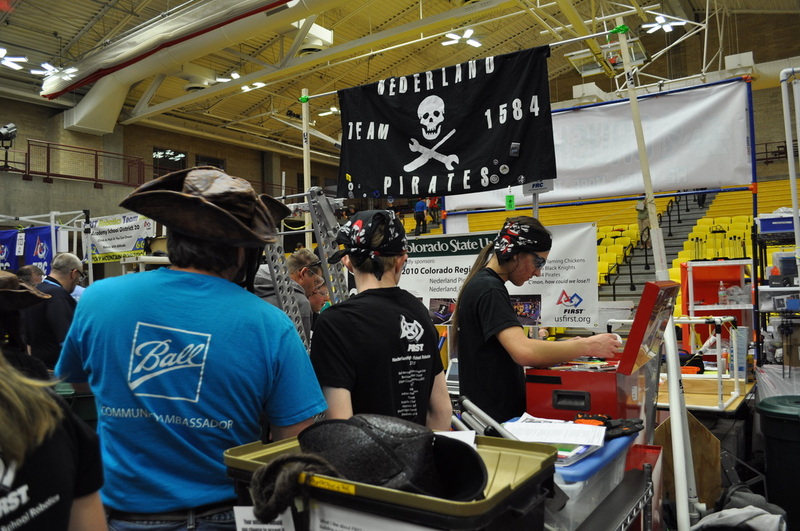 is in the left corner, team 662 (Rocky Mountain Robotics) is in the middle, and we are in the right corner, team 1584 Pirates.